Hugs from Winnie! 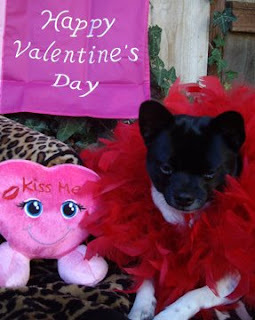 Shelley's little love actually loves to dress the part for holidays and this was her message last Valentine's Day. Love is found in the far right corner of your home opposite your entry way. Put a nice pink blanket or bed there and watch your pet re-charge your and its love life. Say "Yes" to love and better relationships by paying attention to the area of your home! 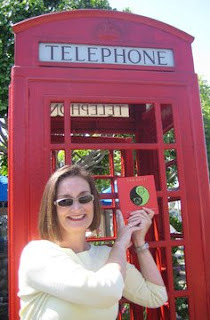 Winnie's Fur Shui book is now traveling on the East Coast, visiting Florida and Maine with Lola! Hello from Maidenhead, England. Hey, I actually got onto the Tour from July 15 to July 20th. Got a couple of sun rays between showers...enough to ring up a few folks and tell them about the "UK" version of "Fur Shui" I found just waiting for me! 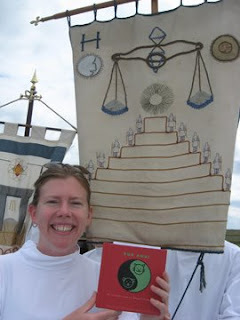 Only a few days spent just outside of London, but had a marvelous and magical solar return. Cheers!!!! Jeffrey is about 6 years old. I met him when I was working as a vet at one of the Los Angeles city animal shelters. He had been found limping down the side of a road, obviously hit by a car. His right rear femur was fractured beyond repair, and the leg had to be amputated. While he was recovering from his surgery, he developed a terrible upper respiratory infection. I would bring him home at night and on weekends to give him fluids, medicate him, and encourage him to eat. Needless to say, I bonded quickly with him. After a few days, he started to improve. He was eating well and walking around just fine with his 3 legs. I officially adopted Jeffrey, and he has been an amazing cat. He is a Siamese mix, so he is very vocal. He loves to carry things around the house, especially shoes. He cries loudly and "announces" that he is moving the shoe, then he expects to be petted and praised. He is such a character and always makes me smile. And he can run and play just as well as any of his 4-legged friends! Hello to Lulu (aka: Shorty) and Cristy from La Mesa, CA! 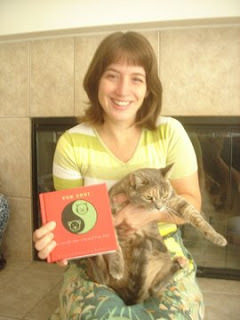 Lulu is all of 5 years young and anxious to get on with her play time since she is already done reading the book. On with some good times in the Children / Creativity gua. I think "Shorty" wants to play with some catnip rather than read! 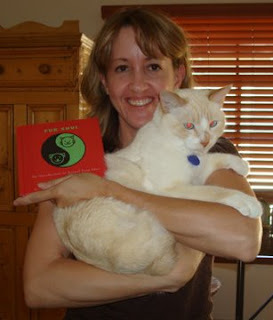 Cristy has picked the Fire element to have both her and Lulu re-charge in. Fire is the element in the Fame section and a favorite place for fur folks to absorb some good energy for lots of hours of play. Keep up the positive vibes Laura!!! 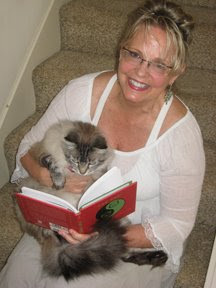 Hello from Nancy and her cat Angel in San Diego! Angel's mom is turning the pages for him and he is soaking up the creativity / children vibes from the book. Nancy's white outfit encourages some pretty nice bonds for the two along with lots of smiles from the creative ways in which Angel shows his love to Nancy. Creativity, play, fun and lots of joy for both is spread around for all that Nancy and Angel come into contact with! 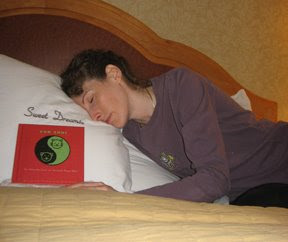 Laura certainly gave Fur Shui some sweet dreams as she passed along the book to Ken (below!). 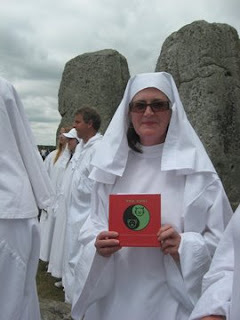 Thanks Laura...and more to come from Laura's taking the book to Stone Henge, England! The white comfy pillows are great items for creativity to be "re-charged". White and nice mounded shapes are power boosters from the Creativity / Children gua! 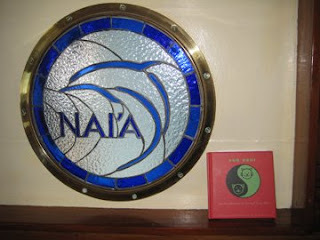 More fun things from Ken and his research trip to the South Pacific! 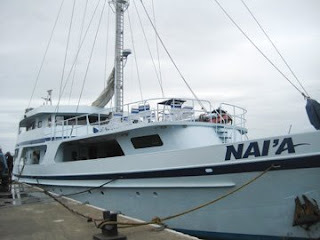 Here is the dive ship that took the book along its journey...the Nai'a as well as Fur Shui's "private porthole" on its trip aboard the dive boat Nai'a, Fiji. The blue and glass as well as the dolphin all energetically boost both career and skills and knowledge...great for a research ship! 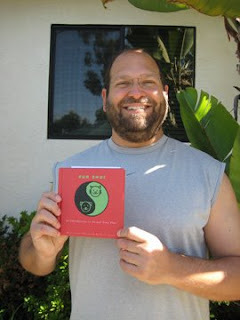 A big thanks Ken from me as well as Fur Shui! Fur Shui just returned from a South Pacific month and a half long research trip with Ken from Orange County, CA. They went to West Samoa (pic still to come!) as well as ports all over the Pacific! 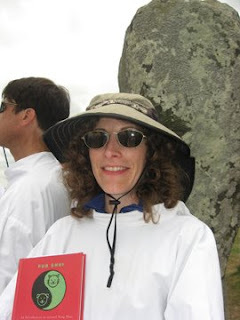 Here's what Ken has to say: "...I took the book to New Zealand (stealth visit), Western Samoa, Tonga, Fiji, and San Diego, then passed it on to Austria so it can make the rounds in Europe." 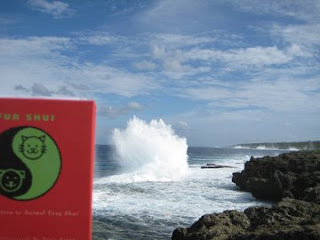 Here's a shot of Fur Shui by the blowholes of Tonga and also with Ken back in port in San Diego, CA! Thanks for the "sightseeing" in the Pacific and the passing forward to Austria! Happy July 4th! It's time for Red, White and Blue. Feng Shui and Fur Shui says that red is for Fame, blue is for Skills and Knowledge or Wisdom and white is for Children and Creativity. So, that is what our "colors" say to me. Freedom to learn, express and be the greatest and best that we can be. Let's hold on to this and move forward in a positive light! 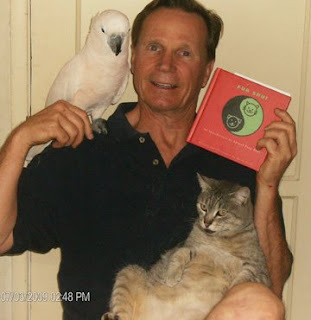 July 3rd brought me some great photos of Roy and his two marvelous fur and feathered folks! Marilyn the Cockatoo and Penny the cat...here's what Roy has to say about his buddies: "Marilyn is a 7 yo Moluccan Cockatoo, with whom I have joyful scream fests, and Penny is a 10 yo overweight Buddha short-hair kitty, who sometimes sleeps with her head in her food bowl." Thanks for being in my life Roy, Marilyn and buddha kitty Penny!